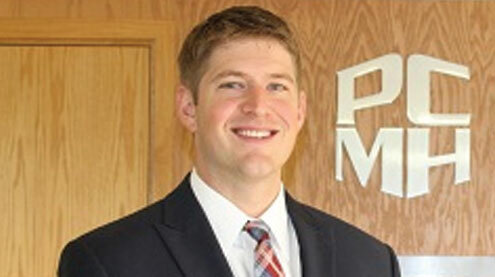 Pike County Memorial Hospital announced that Justin Selle will officially resign from his post as chief executive officer effective Aug. 3, 2018. In his statement, Selle explained he was presented with an opportunity for him and his family that he could not pass up. He expressed that he is very happy with the team in place at PCMH and he knows they will take the organization to the next level. Selle has been the acting CEO for the last three years and in that time PCMH has added two new clinic locations including a nights and weekends walk-in clinic that will be open seven days a week starting in August. PCMH and its clinics have also added new specialists including Sports Orthopedic Surgeon, Endocrinology, Neurology, Licensed Clinical Social Workers and Tele-Psychiatry. PCMH was also awarded three top 20 in the Nation awards by the National Rural Health Association for Quality and Overall categories. During this time PCMH was also recognized three years in a row as a Critical Access Hospital to know by Becker’s Hospital Review and Mr. Selle was recognized as a CEO to Know three years in a row by Becker’s Hospital Review. PCMH also received the NOSORH award for excellence in quality and financial strength under Mr. Selle’s leadership. During his tenure the hospital became a level III stroke accredited center and continued to expand services and upgrade equipment. The Board of Trustees at Pike County Memorial Hospital is currently interviewing candidates to fill Selle’s position once he has departed. “We are saddened by the resignation of Mr. Selle,” noted Board Chairman Kevin Keely. “Justin gave a superior effort to grow and improve the medical options for all Pike County residents, including some in Audrain County. He will be greatly missed as the CEO of Pike County Memorial Hospital. The Board is currently looking at our options and hope to have a new CEO in place before Mr. Selle leaves,” Keely added. PCMH is an award-winning critical access hospital serving the needs of the surrounding communities since 1928. To date, PCMH employs over 200 people and has continued to add services to the programs offered at the hospital.